We love being outdoors, but know that being safe outdoors takes actively monitoring your surroundings. This is especially true when we’re dealing with thunderstorms that produce lightning. 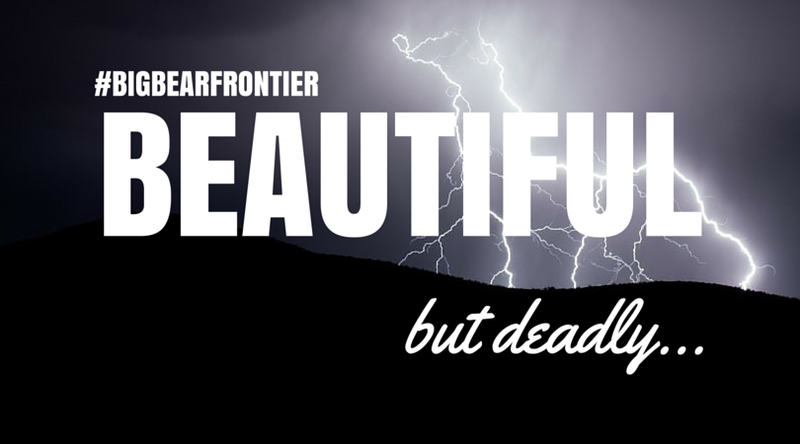 Beautiful but deadly, the National Weather Service states lightning took the lives of 21 people so far this year. One of those lives was lost here in California. Many times we think of wildfires when we couple lightning and California. In 2014 the National Interagency Fire Center reported over 250 wildfires in Southern California started from lightning strikes. This is relatively low in comparison to other parts of the United States; However, according to the agency’s figures, the highest percentage of lightning-caused wildfires centers around the Southwest region, defined by most of Arizona, New Mexico, and portions of Texas and Oklahoma. The main concern with lightning is personal safety. According to the National Weather Service, the majority of lightning deaths happened during leisure activities, the largest percentage of those being water-related activities such as fishing and boating. If your boat has an interior cabin, stay inside for the duration of the storm. Stay away from metal objects as much as possible such as a steering wheel, railing, or awning poles. Sit low in the center of the boat. Do not lie down; you want to minimize your contact with the boat’s surface. Lower your VHF antenna and do not use it for the duration of the storm. Exceptions are if you have a handheld VHF or in an emergency. Lightning strikes to boats are rare, but they do happen. If your craft is struck first check the people in your boat. If everyone is ok then check your boat for any leaks or fire. After the storm, have a professional thoroughly check your boat for damage. DO Avoid open areas such as fields or water, and head to lower ground such as a valley or ravine. DO sit or crouch with your head tucked. DON’T take shelter under a tall tree, especially if it is the lone tree in an area. Lightning may strike the tree and could “side splash” or cause a ground current to you. DO seek out several smaller trees around taller ones when stuck in heavily wooded areas. DON’T crouch or sit near each other when traveling in a group. Maintain a distance of several yards. The best course of action for staying safe during thunderstorms is not to venture out until the storm has passed. With resources like Ben’s Weather, you won’t have trouble finding the perfect time to venture out whizzing around the lake on a jet ski or on foot to conquer Pine Knot Trail. Are you ready for your next adventure? Make your reservation today at Big Bear Frontier. Gallery | This entry was posted in News, The Seasons and tagged big bear lake, big bear mountain, California, Lightning, Southern California, Wildfire Prevention. Bookmark the permalink.